As a social media manager one of the biggest challenges you may face is how to market your skills to potential clients. Since you already know the ins and outs of marketing through social media, you have some insight on ways to reach those interested in hiring you; however, social media isn’t enough. You need to be able to reach beyond those already using social media to find business owners who don’t have the time, knowledge or desire to market themselves through social media even though they know the importance of doing so. 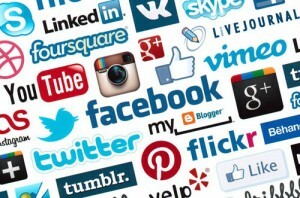 Here are a few ways you can market your social media management services to potential clients. Have a good website design. Your website should reflect your knowledge of social media. If isn’t enough to tell people how to do it or even do it for them. You have to practice what you preach. In addition, you may want to include content that is comprised of current stats and data from projects you are working on. This might include comparisons of competitors work vs. your work. Illustrate how your samples and future work are, and will continue to be, superior to those of your competition. You may want to include any positive feedback from clients, stats from tracking programs, before and after images of projects, etc. We live in a fast paced world and the only world, as well as social media marketing is no exception. It’s vital you stay on top of the new and emerging technologies that keep your clients a step ahead of their competition. Talking about and taking part in new methods will show your readers that you are a forward thinker, always striving to be the best. Webinars are a great way to market your social media management services. Not only will you be able to teach potential customers why having a social media manager is important but you will be available to answer any questions they have. Invite prospective clients and your mailing list subscribers to attend. Invite those who follow you on social networking sites. Partner with complimentary business owners to co-host webinars. You’ll not only reach your followers but theirs too. Once the webinar is finished, post the recording to your website for those who could not attend the live event. Use any questions asked for new topics of content on your website. Word of mouth marketing is a powerful way to let potential clients know what you specialize in. However, if you don’t have existing customers, friends and family who reach the same target market as you do and who are willing to spread the word about your services, it can be tough to get started. In cases like this, you might want to consider placing ads both online and offline to raise awareness. There’s a wealth of great online places you can purchase advertising. You can even go as far as running ads with reputable search engines. But don’t forget that you can reach hundreds or even thousands of potential clients in your local newspapers as well. Blog about techniques you have found to be highly effective as well as those you feel are lacking. Explain where and how you used them, what the results show and how it can directly impact a business. Discuss how hiring a manager can benefit the business. Talk about the various social media services available such as Facebook, Twitter, LinkedIn, etc and how each one is different but also how they can improve traffic and sales for your clients. Marketing is never an easy task but it is crucial to business success. Making that first connection with a prospect is where it all begins so make it count! It’s that initial step that will open the door and allow you the opportunity to turn those prospects into paying clients.